Once you’ve got some bases in French, I recommend you start trying reading French books and magazines. Reading French books will help you reinforce and learn French: as you see the sentences, you will passively absorb French grammar with the way sentences are structured/worded. I encourage my students to read, and I did notice dramatic improvements in every French skill among those of them who have picked up reading as a regular activity. You will expand your French vocabulary, learn new words. It is entertaining. As you gain confidence with reading French books and start to accept not to understand every single word, reading in French can become a hobby more than a learning task.Some of my students have become so addicted to reading French literature (in French, of course) that they may soon be more knowledgeable than me about it! I don’t mind this at all, on the contrary I’m so proud that they are loving it and I truly admire them for choosing to discover Sartre, Camus or Rimbaud in the original language! 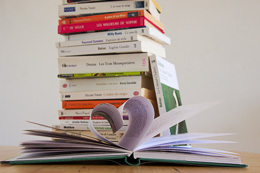 You will love reading in French! It’s a true immersion into French culture. 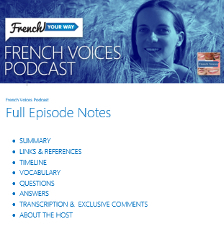 You can have access to the original words and writing style of French authors, giving you an authentic insight into French literature. It’s rewarding. 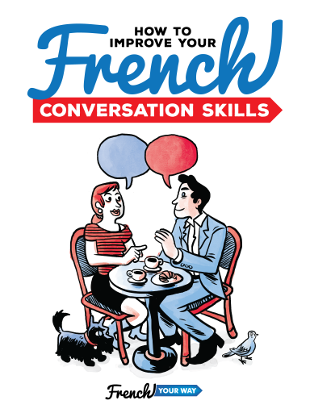 In addition to improving your French, you will get a great sense of pride and achievement. When I was living in Beijing, I once bought a simplified version of “The Wizard of Oz” in Chinese (okay, that’s not Chinese literature!). On my next private Chinese class, I showed the book to my teacher and said: “I want to read it!”. I remember from the look of her facial expression, her widened eyes and raised eyebrow, that she thought it may be too difficult! But I insisted: this was what I wanted to do during our lessons. At the beginning, I was very slow and a bit overwhelmed by the hundreds of Chinese characters dancing in front of my eyes. I had to memorise them all!. It would take me 6 hours to read one page. What basic requirements should I meet before starting to read in French? You’ve touched on the past (passé composé & imparfait), present and future tenses. Of course, you don’t need to do any conjugation when you read, but it will help if you can identify which verbs are used and in which tense. You know enough vocabulary to follow a conversation related to familiar/everyday life topics. You could play “I spy”, i.e you are able to name most objects and things around you. Where to start with reading in French? I’ve created a French reading list of books I personally recommend to my students. Start with them rather than with a 1,000 page novel! As a child, I had a subscription to “J’aime Lire” and couldn’t wait to receive my monthly story. After many years, the collection is still going strong. What’s great about it is that the stories take place in familiar environment (at school, at home, etc), so the vocabulary shouldn’t be an issue. Occasionally, the stories will be a bit more fantastic. 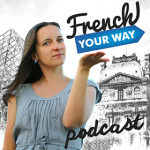 There is great variety and it’s very accessible for students of French. Re-discover the French edition of books that you have loved during your childhood. (Charlie and the Chocolate Factory) by Roald Dahl. These reads may then not be in the original language, but this time it is your knowledge of the story that will help you when reading the French text. (Again, think of my first read with Tintin!). (Goldilocks and the Three Bears), Aladdin making his three wishes, or Les Trois Petits Cochons (The Three Little Pigs”). This repetition is very helpful because it gives you a pattern: you read the same words and structures several times. Tip: Sometimes, these books come with a CD / audiobook version, which can be very helpful as well. Magazines are part of daily life culture and there are so many types that you can only find something you will like! You can find magazines on virtually every topic that you can be interested in: photography, architecture, fashion, IT, economy, tabloids, etc. Some magazines are available online or via an application. Start with the shorter articles, or the ones that most appeal to you. Where to find French books and magazines?I find that reading the newspaper in French is a bit more difficult than reading French magazines because of the journalistic style of writing which can be more specialised, with more idiomatic or figurative expressions. Some French magazines are available for reading online (sometimes for free) or have a dedicated application. Buy in a specialised bookstore (more expensive because of import fees). In Melbourne, Mag Nation has a few magazines in French. Choose a book that’s appealing to you (for once, you’re allowed to judge a book by its cover!). You need to want to read it, not read it because it’s some kind of homework. In my Recommended Reading List, I’ve included the genre and some keywords/description for each book so you can choose a reading according to your own interests…and according to your level in French, of course! Don’t try to understand every single word (or even sentence). If you have to put down your French book to look up a word in the dictionary every three seconds, you will quickly feel discouraged. I know, I’ve been there too. When I started reading in English, I would take a pen and notebook, with the idea of diligently recording every new word in it, to learn. I soon had to stop because it was interrupting the flow of my reading too often. Today, when I read Australian literature, there are still times when I don’t understand a whole couple of sentences (for example, in Aussie slang conversation in Katharine S. Prichard’s amazing novel “Coonardoo”.). There are even French words that I don’t know in French novels (names of old clothing items in Dumas’s “Les Trois Mousquetaires”, etc). Accept not to understand everything. You don’t in your own native language either anyway. If it doesn’t prevent you from understanding the general story, move on. Details are only details. If you’re reading a digital version of the book, you can integrate an online dictionary in it. That way, you can look up some words more quickly, without having to put your book or tablet down too frequently. Again, use with moderation! You can start with using an bilingual dictionary (eg. French/English) and then move to a French-only dictionary. Do you have any other tips you would like to share? Feel free to leave a comment! Browse my recommended reading list. Note: The Amazon links above are affiliate links. It means that if you go on Amazon via my link and make a purchase I will earn a small commission. Same price for you, and a tip for me!